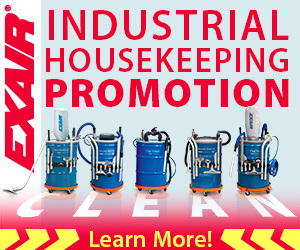 Throughout my tenure here at EXAIR I have seen the company give to many different organizations and to the team members here. Recently we implemented a program where employees are allowed to choose a charity of their choice to go and volunteer for a day each year. This year for my volunteer day a group of seven members from EXAIR went to help a non-profit organization that focuses on helping students and teachers in 16 local counties. The organization, Crayons to Computers is a free store for teachers in these counties that surround Cincinnati. The store is stocked with donations from corporate and private entities and staffed by volunteers. Their inventory can be anywhere from classroom supplies, books, decorations, technology equipment, even stocked book bags to give to students. 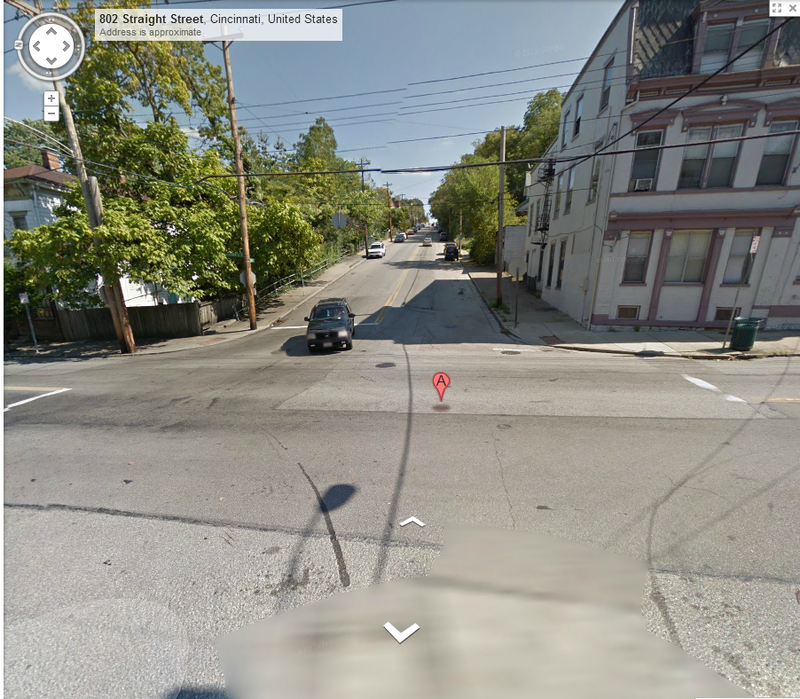 The store is the largest of its kind here in the United States and has been serving the Cincinnati area for 20 years. Their belief is that a teacher should not have to spend money out of their pocket to supply students in need with school supplies and to ensure that schools in need have access to supplies that aren’t always easily available. They have a sales floor where the teachers shop and then a large warehouse where the donations are all sorted and stocked for easy pull to the sales floor when needed. This is where our team spent the day. We did jobs like sorting books by reading level, organizing / packaging chair mats, unloading trucks, and finally, consolidating over 30,000 boxes of 24 count crayons so that their valuable warehouse space was being used more efficiently. These crayons were all donated by financial institutions here locally that had challenged each other to see who could donate more. It still isn’t the amount of crayons that they will supply to teachers within this school year, but it helps tremendously. By volunteering our time we were also able to give 10 teachers who’s school would not normally qualify for shopping at Crayons To Computers the ability to go and shop for a day. This was an added bonus that we were made aware of after the fact. This is yet another way that Crayons to Computers gives to our community. One of the best takeaways I have from this year is that I got to give back to an organization that my amazing wife would shop at when she was teaching students in need. It was organized by someone here on our team that had no knowledge of my personal connection. We ended up getting more done than they had ever hoped to get out of 7 volunteers. This was all made possible by a company that doesn’t just focus on making excellent products and providing top notch customer service. EXAIR is also focusing on making sure our team members interests are embraced by letting them choose how to give their time and the companies time to a cause they believe will give back to our local community. If you would like to inquire about donations or how you could help Crayons to Computers, please check out their site directly. My Ruck sack w/ 20 lb. weight and a flag for the team to carry. 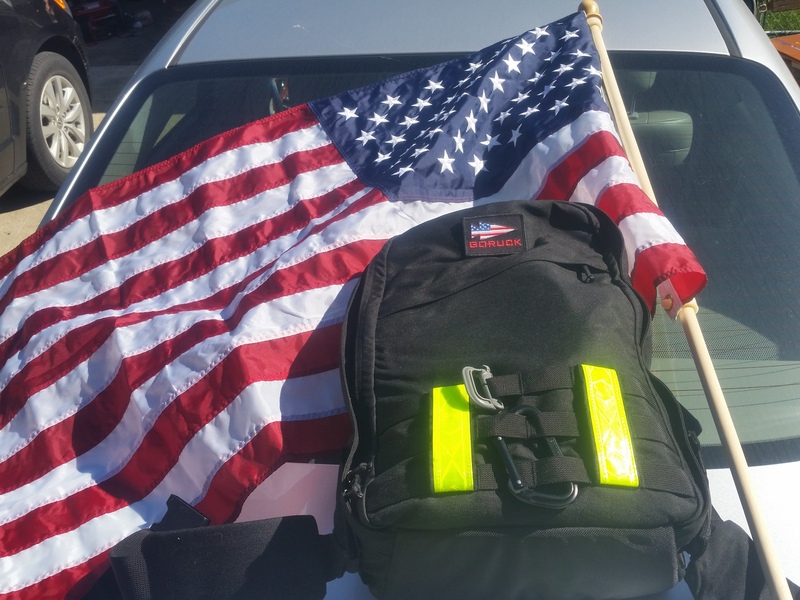 This weekend, myself and many others are going to be participating in an event held all over the country, the Go Ruck Light event. This test of toughness (mental and physical) is put on by former military personnel and it is based around one of the things they do a lot of at the beginning of their military training. This is a 7 to 10 mile event that will take up to 4 hours to complete. It is not like a race or any other obstacle event that we have ever done. This is an event where the leader, or Cadre, will lead you through the miles and many physical exercises along the way all while carrying a 20 lb weight in a ruck sack on your back. This not only tests individuals but it also requires the entire group to work as a team to ensure everyone finishes and everyone is together. While I feel that I am under-prepared for this event physically, my mind is prepared to find out just how much I really can do and it will be at the end of the test that I realize the benefits. Not many of the tasks I am responsible for at EXAIR require that kind of physical toughness and some of them require the mental toughness. But one instance I am always prepared for is the customer that calls and thinks they have the weirdest application and that there is nothing to solve it. We actually have this experience quite a bit and it helps make what we do more interesting and fun. With our diverse background and extensive knowledge, chances are we have experienced the application or we have seen something that is very close. This helps us to be specific when recommending a solution. EXAIR feels that the best solutions can also provide information on air and dollar savings as well. The best savings information can be provided if our customers are willing to provide us details about their current application, and there is no better way to provide us the details than to take advantage of our Efficiency Lab. It is a free service letting you to send in a sample of your current blowoff product (typically homemade nozzles, open tube or pipe, snap together coolant hose, etc. ), in return we will test it for you with our calibrated equipment and provide you a detailed report on air volume, force and noise. Then you will know the specific benefits of your recommended solution. 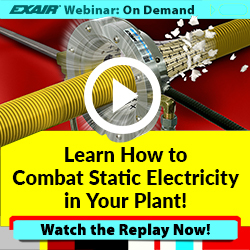 EXAIR’s Efficiency Lab is a free service to all US customers. The fact is, we go into every conversation with the mentality of only providing solutions. If we can’t provide it, we will try to direct you to someone that can. 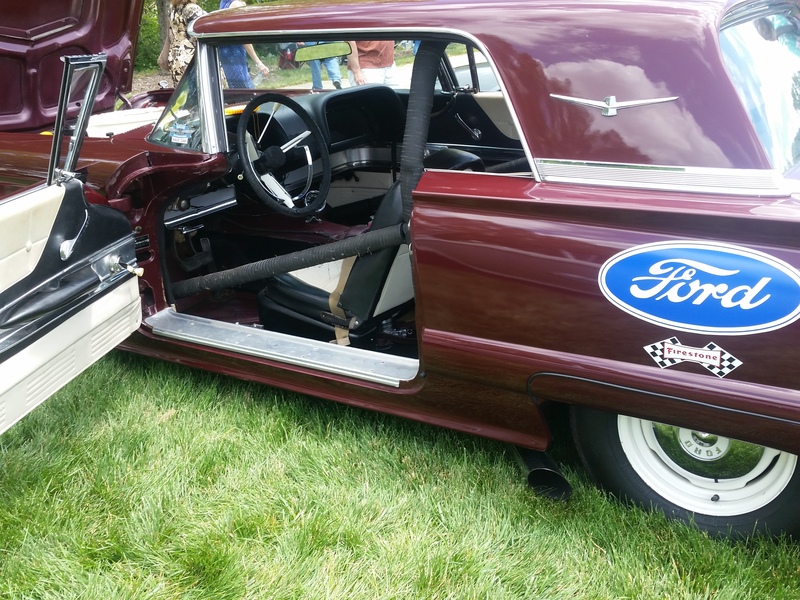 Driver’s Side – Now that is what I call a roll cage! 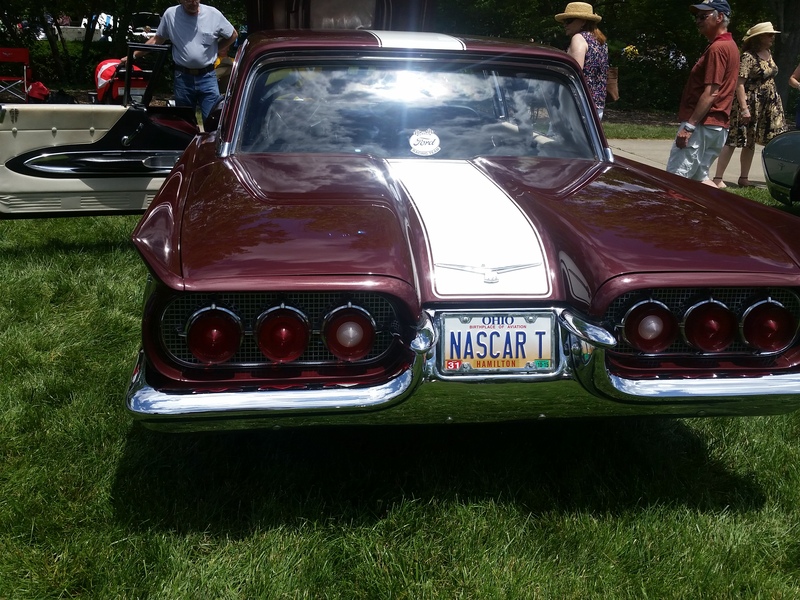 One of my favorites was this 1960 Ford Thunderbird NASCAR. 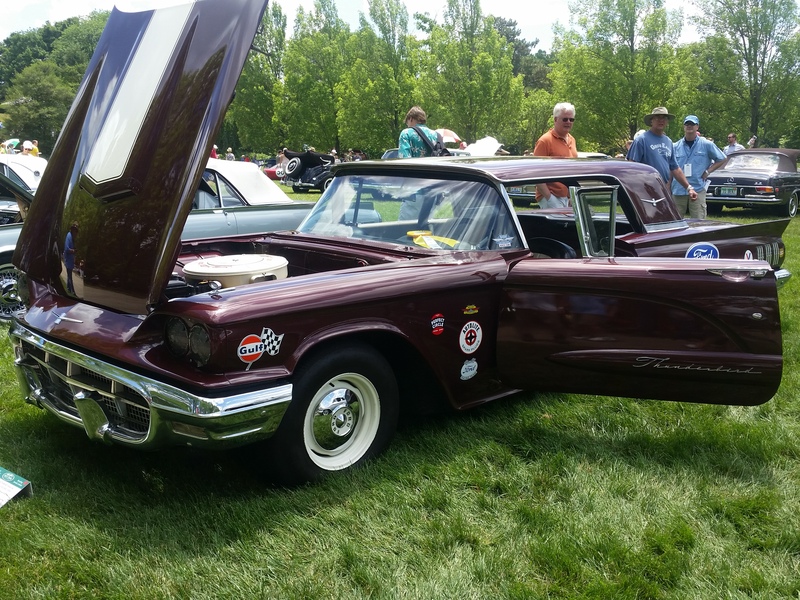 The car was the only NASCAR-spec 1960 that actually never ran in competition, at least legal competition. 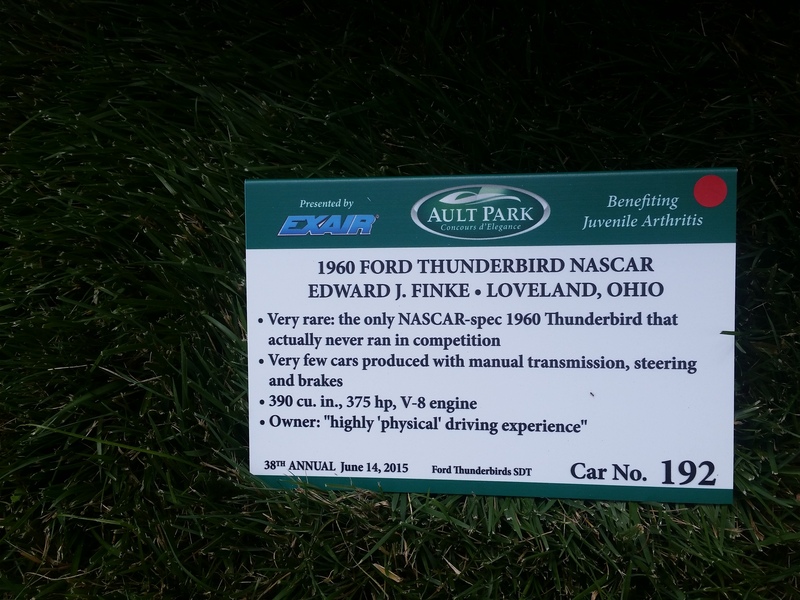 Also, was one of very few cars produced with manual transmission, steering and brakes. Most drivers nowadays wouldn’t even know what to do with a car that doesn’t have an automatic transmission. Let alone power steering and brakes. Have to believe this is true. I would say this was the exception to never being entered in “competition”. It always feels great to work for a company that gives! One of the best parts of going to this show is seeing the EXAIR logo next to a very deserving charity. The show is in it’s 38th year and continues to benefit the Juvenile Arthritis Foundation. Yet another aspect of the show is that a good majority of the cars will do a parade the week before the show and take children from the foundation with them in their cars. While this doesn’t help their physical condition, I can’t help but think what kid wouldn’t be happy getting to ride in a car like a Ferrari or even one that you have to crank by hand in order to start it. 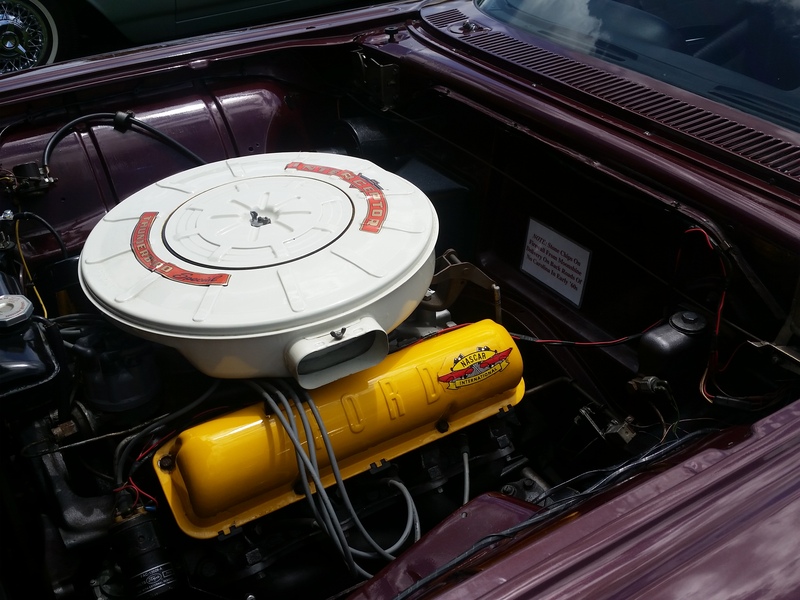 Take a look at the website for the show and you will see the history behind the show as well as some of the other vehicles you may see there. As always, I truly love the fact that I work for a company that not only values the employees it hires but also gives to so many charities as well. Ryan Longshore, a design engineer at EXAIR, famous for his hard work on our new High Lift Reversible Drum Vac, will now be famous for something else. He left Cincinnati, OH last Thursday November 6th, 2014 to run the Baja 1000. He is running the race with a few members of his family and friends as a part of Longshore Racing. His trip to the race is 2,168 miles. 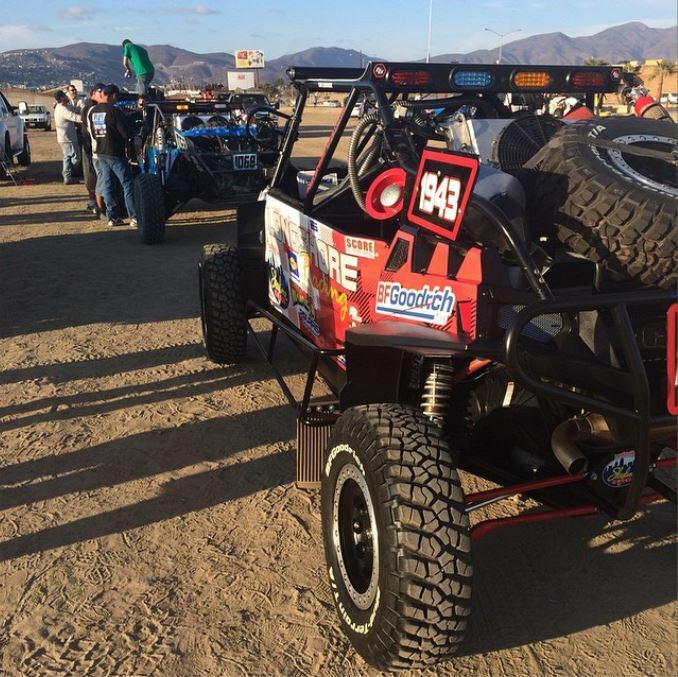 After driving to Ensenada for the start of the race, They will compete in 1,275 miles of racing, unlimited UTV class 19. For any one unfamiliar with UTV class 19, here is a photo of the vehicle they will be using. The Baja 1000 is one of the most grueling off road races in the world. According to Scores International, the race this year will be 1,275 miles starting in Ensenada, Baja California, Mexico finishing in La Paz, Baja California Sur. The course crisscrosses the Baja California Peninsula drive along the cost of the Pacific Ocean and the Gulf of California at various times. The temperature in La Paz now is 87 degrees and sunny, so I hope he gets a chance to enjoy himself. If they complete the race (a huge accomplishment), the convoy will then depart from La Paz to drive back to Louisville, KY. For those of you scoring at home that is roughly 6,500 miles or around 80 hours of windshield time. As I’m writing the blog the number 1943 is 398 miles into the race after running for 18 hours. They only have 40 hours to compete in the Baja, so they have an uphill climb to finish in the allotted time, but they seem to be putting on a good showing so far. Best of luck to # 1943! EXAIR is Cheering for You! 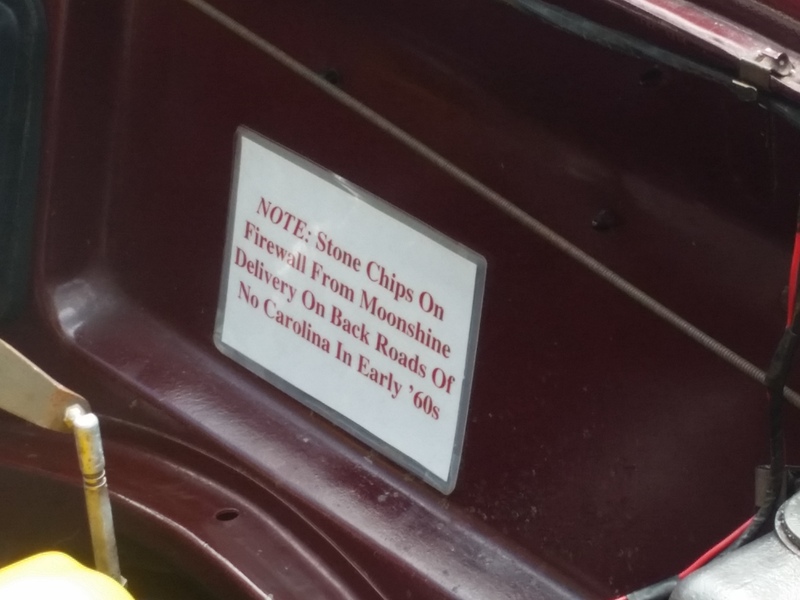 Monday Morning Update: The Longshore Racing team made it to mile 625 where they suffered an insurmountable breakdown – two broken front right ball joints. The repair vehicle was a couple hours away and they were unable to make the repairs in time to finish the race. Ryan has stated it has been an amazing journey and they have begun talking about next year. I picked up a copy of Illustrated Cincinnati over the weekend, by chance, and have been enthralled with some of the contents. 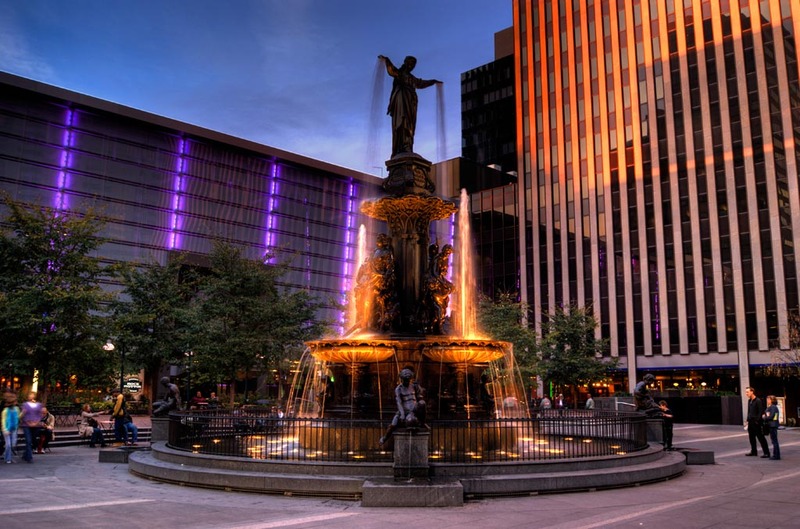 For example, I’ve learned that the stone of our fountain that sits on Fountain Square came from Upper Franconia, a small administrative region in Bavaria, Germany. And, that the bronze used to cast the statues of the fountain was sourced through the Danish government in the form of unused cannons. How cool! Within the book, nestled in between descriptions and history of our bridges and oldest neighborhoods, is a section on manufacturing and commerce. To quote: “The great public buildings, the colleges, the schools, the libraries, the hospitals, the hotels, the bridges, the parks, and the theaters, imposing as they are by themselves, present but one aspect of the many-sided life of a great and busy city. They are not the cradle of its birth, but the outgrowth of its prosperity…” This prosperity, for Cincinnati as a city, came from manufacturing and commerce. At the time of printing (1875), Cincinnati was the second largest manufacturing hub in the United States, second only to Philadelphia. A little over 100 years after the book was published, EXAIR opened our doors. And, while much had changed between 1875 and 1983, EXAIR hasn’t changed our commitment to solving problems in the 30 years since our founding. For example, an end user contacted me this morning needing a solution for cleaning a lubricant tip on the end of a robot arm. The robot arm would provide a preset amount of lubricant at a precise location, and then pull away, waiting for its next call in the program coding. Currently, the process was to wipe the lubricant tip with a sponge. This presented a problem with repeatability and contamination. We examined the possibility of using an EXAIR Air Wipe, model 2400SS, to clean the tip, but there was insufficient length to allow the robot to plunge into the Air Wipe airstream. We then explored the use of our 1126SS nozzles, and found a suitable solution. However, seeing the potential to lower compressed air use through a Super Air Knife (either custom length, or stock length with a custom shim), we settled on a final solution to use two Super Air Knives, mounted at 45°angles, opposite of each other but relative to the same axis, to provide the needed drying. Given the need for a custom shim or complete custom Super Air Knife, we thought it best to test the application with stock product and evaluate the results. So, that is what the end user chose to do. And EXAIR chooses to offer the best suited, most efficient solution for each and every one of our customers. If you have an application problem in need of an EXAIR solution, we’re here to help. In case you haven’t seen any of our blogs concentrating on our makeup of employees, EXAIR has a group of employees who actually think running is fun. Needless to say, I do not find running to be one of my strong suits. A few members of the EXAIR running crew are going to be running a rather difficult race this weekend. This race has been said to be “one of the most grueling sub-mile runs on the planet” (according to the event organizers). That’s right, this race is not a marathon, or a half marathon, it is said to be the oldest micro-mini marathon. You may be asking yourself what kind of race is this? Well it is a hair more than 1/3 of a mile, steeply uphill. This will be the 37th year for the Straight Street Hill Climb. The best parts of the race is all the proceeds benefit the Cincinnati Soap Box Derby, a great family event here in Cincinnati that goes on every year. This is yet another way that the members of EXAIR give to our local community. Now if we could just get Professor Penurious to finish up his Soap Box Derby car, and find someone willing to let their kid ride in it, we may get to compete in the downhill race too! I doubt it would go as smooth as the video below however.